This Orchestra is open to all experienced string students and advanced level wind and percussion instruments by audition only. 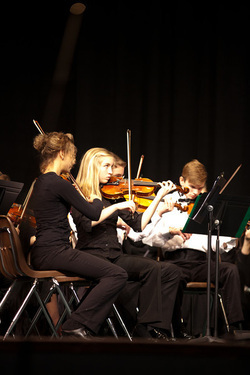 This Orchestra is open to all experienced string students and advanced level wind and percussion instruments. ALL STUDENTS MUST AUDITION TO ENROLL. 2) Band audition piece---OR------prepared piece of your choice. Auditions are by appointment only. Click on the "Audition Information" button below for date and more information.